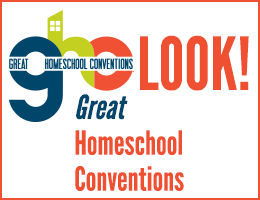 I first reviewed Homeschool Planet somewhat reluctantly a few years ago. I had become very skeptical about computer-based planners because all of the ones I had looked at were just too cumbersome to be practical. Some homeschool planning systems required too much work setting up and learning the program, and all of them required too much time to enter detailed lesson plans for each subject. Homeschool Planet surprised me on both fronts with easy setup and tools for quick entry of detailed plans. 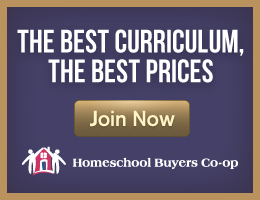 Homeschool Planet is an online organizer that you access on a subscription basis. It works on computers and, on a more limited basis, on smartphones and tablets. However, your computer needs to be your primary point of access. As with most planners, you’ll create your parent account and individual accounts for each child. You can also add contact info for other family members which might be useful as I will describe later. Your children will have individual logins, and they will be able to view a restricted amount of information. (Parents can give older children greater access if they wish to do so.) You can allow them to check off completed assignments themselves. Because of the controlled access, there’s no danger of them getting into information they shouldn’t. Homeschool Planet has all of the features you would expect in a computer-based planner and then some. You can view your calendar by day, week, or month; you can customize it with preset options for holidays; and you can add other vacation days or unusual variations. Of course, the system lets you create classes and assignments, assign grades, track student attendance, and print out reports and transcripts. You can also keep track of other family activities on the same calendar by adding categories in a manner similar to subjects. Default category choices are Chores, Church, Field Trips, Meals, Medical/Dental, Music, and Sports/Exercise, but you can add other categories of your own. An introductory video shows how the program works, but if you ever need help you can view one of the very helpful tutorials. It's very easy to use, so you should be able to get the hang of how it works quickly. Setting up subject areas, students, and the main calendar is simple. Just click anywhere on the calendar to bring up your scheduling tools. The lesson planning section is where I think Homeschool Planet really shines. For me, the assignment scheduling features make or break a computer-based organizer because it can take a ridiculous amount of time to enter this information manually. The assignment scheduling in Homeschool Planet offers a range of options for entering assignments automatically that will accomplish the customization that homeschoolers need without requiring hours of work. You can use the system’s tools to automatically generate assignments in many different ways, or you can purchase ready-made lesson plans for more than 700 popular courses. You can enter assignments manually for each day, but that probably won't be necessary since the system is set up to handle more options that streamline the process than I’ve seen in any other system. For example, if you plan to read real books, you can enter each book’s start date and end date, enter into the system how many chapters (or pages) are in the book, and for which days of the week that reading is to be assigned. It automatically computes each day’s assignment. You can enter additional books for whatever start and end dates you wish. In testing the system, for one course I wanted to enter assignments for four daily lessons plus a test day. I discovered that Homeschool Planet has a preset option for just this type of schedule, so it took just a minute to accomplish. It would have been easy enough to set up a slightly different pattern which the program would have quickly applied to the entire schedule for that course. The Lesson Plan Marketplace on Homeschool Planet's website has been developed since I first reviewed the program. While the lesson plans are optional add-ons (at additional cost), they make scheduling lessons as easy as it can get. There are more than 700 professionally designed lesson plans already available for some of the hottest products on the market, and that number should double by the end of 2019. Some lesson plans were created by Homeschool Planet in partnership with publishers such as Brave Writer, Veritas Press, Saxon Math, Notgrass, and Supercharged Science. In addition, there are lesson plans created by Homeschool Planet for courses from publishers such as BJU Press, Alpha Omega, Apologia, Math-U-See, Memoria Press, and IEW. I was surprised to find lesson plans for some of the more complex courses such as All About Spelling and RightStart Math, and there are even lesson plans for the elementary level Life of Fred math series under the title "Fun with Math for Life of Fred." Some lesson plans for online courses like Unlock Math are set up to give you one-click access to the curriculum itself. These lesson plans can be adjusted to fit your own schedule although they include recommended scheduling. Lesson plans are sometimes available in premium versions that add weblinks, printable PDFs, and other extras that enhance the basic course. Some of the premium lesson plans I looked at transform courses dramatically with supplemental videos, activities, and worksheets that make them much more interesting than they would be without the enhancements. 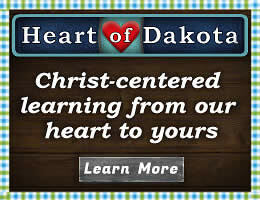 Some of these enhancements are exclusively available in the Homeschool Planet lesson plans. The time you will save with these lesson plans on both initial lesson planning and the presentation of assignments should be more than worth the cost. And once you've purchased a lesson plan, it's yours and can be reused with another student in the future. Whether using your own or pre-made lesson plans, Homeschool Planet allows you to enter weblinks and notes along with basic assignments. Parents can also write notes or reminders for themselves that are invisible to students. "Daily Digest" email reminders can be automatically sent to you or your children showing what needs to be accomplished each day. Also, students or parents can check off completed assignments and then easily see what remains to be done. If you prefer printed schedules for students, printing customized schedules with checkboxes for each child is a snap. The program alerts you to overdue items from the schedule that have not been checked off, and it allows you to easily reschedule them. Shifting assignments forward or backward, or moving individual assignments, can be done easily without having to reenter all subsequent lessons. Or you can quickly shift the entire year's schedule out a week if an emergency comes up. Assignments can be shared by more than one student. If students sharing the same assignment get out of sync with each other, you can even adjust the schedule of one student without affecting the other. Another unusual feature is the set of optional widgets that you can turn on at your pleasure—widgets for daily quotes, daily Bible verses, a to-do list, shopping lists, a messaging tool, and a lookup widget. The lookup widget is one I’d likely use all the time. It includes automatic links to a dictionary, a thesaurus, the Bible, Wikipedia, Google, Bing, Amazon, movies, and recipes. When you are creating your lesson plans and need to find an article, just enter the topic and hit Wikipedia or Google. Need to search Amazon to order books? You can accomplish these tasks quickly without leaving Homeschool Planet. I suspect that homeschooling moms will keep Homeschool Planet up on their computers throughout the day, checking off assignments, entering grades, making notes, and planning ahead. You’ll be even more likely to do so if you organize the rest of your life through Homeschool Planet as well, using the calendar and scheduling features and the to-do and shopping lists. You can send messages to family members if you’ve entered phone or email info for them into the system. You can even write a shopping list in the planner then print it out or text it to your phone. You can try Homeschool Planet free for 30 days without having to provide a credit card number. After that, you can subscribe by the month or the year. If you choose to purchase a lesson plan to use along with your free trial, rest assured that you will still have access to that lesson plan even if you choose not to subscribe to Homeschool Planet, although you will lose the ability to edit the plan. Click on the image below for your free trial. Clicking here uses my affiliate link, so I get credit if you should choose to buy after your free trial is over.